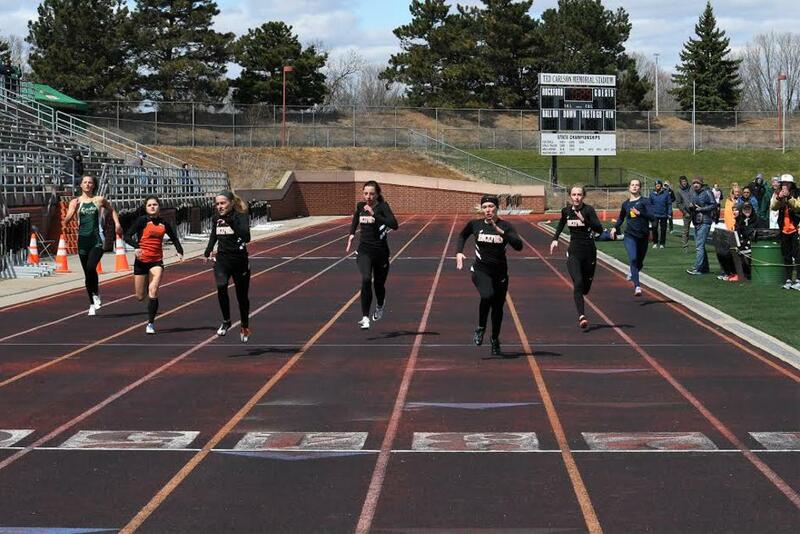 ROCKFORD - Despite cold weather and blustery winds, the Lady Rams track & field team had a strong showing on the oval, Saturday, April 13, for their annual Rockford Invitational. The Rams toed the line against five other schools in the early season invite and came away with the championship trophy. 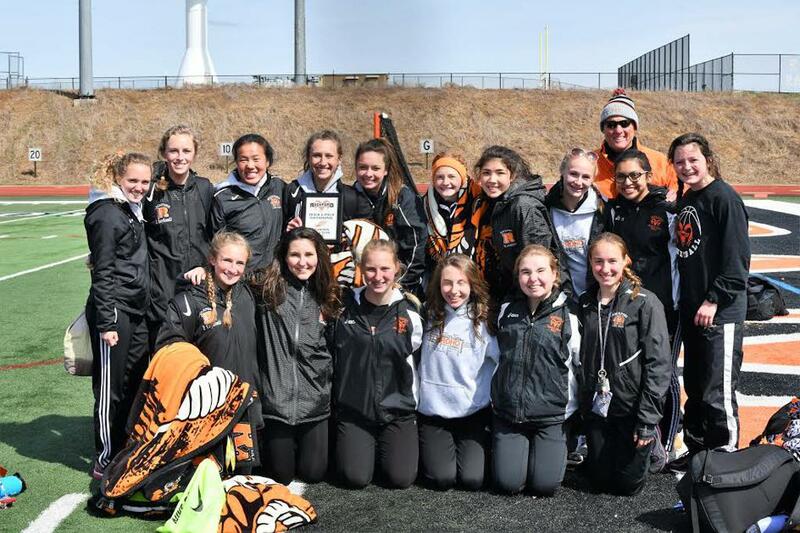 The Rams tallied 265 points to claim the crown, and were followed by Northville (147), East Grand Rapids (87), Zeeland East (72), Grand Ledge (56), and Zeeland West (23). 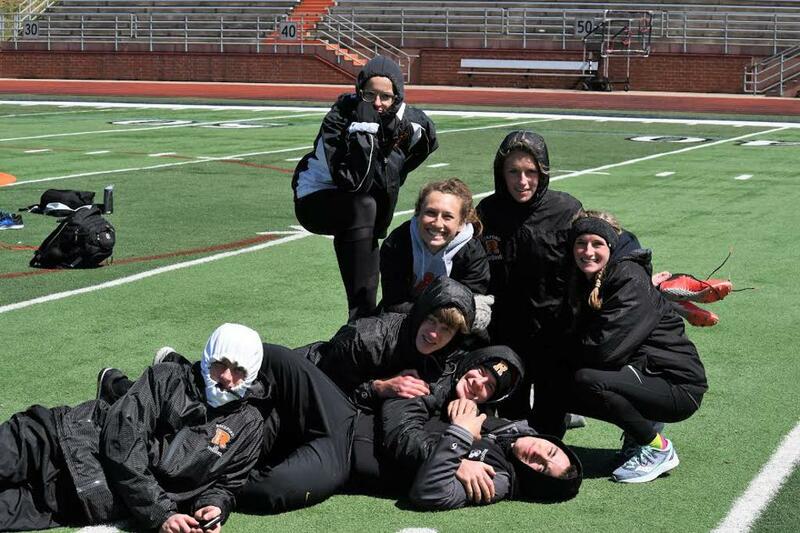 Rockford had some strong performances from plenty on the roster, with some PRs in spite of the tough conditions. The Ram earned firsts in seven events and claimed three of the four relays, only dropping the 4X100. Three Rams had a huge day, earning first place in two individual events, and then helped with firsts in the relays. 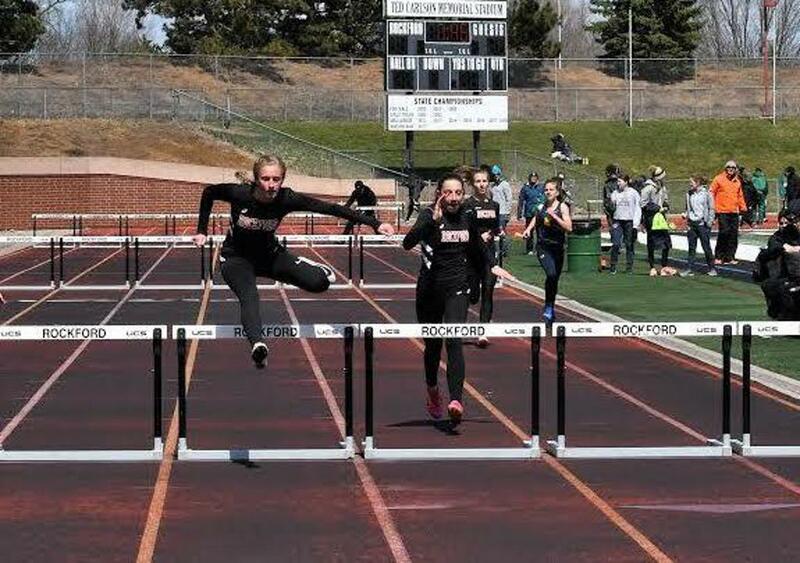 Champions on the day were Taylor Korytkowski (400m), Ericka VanderLende (1600m & 3200m), Peyton Korytkowski (100m hurdles & 300m hurdles), Morgan Vargo (pole vault & long jump). 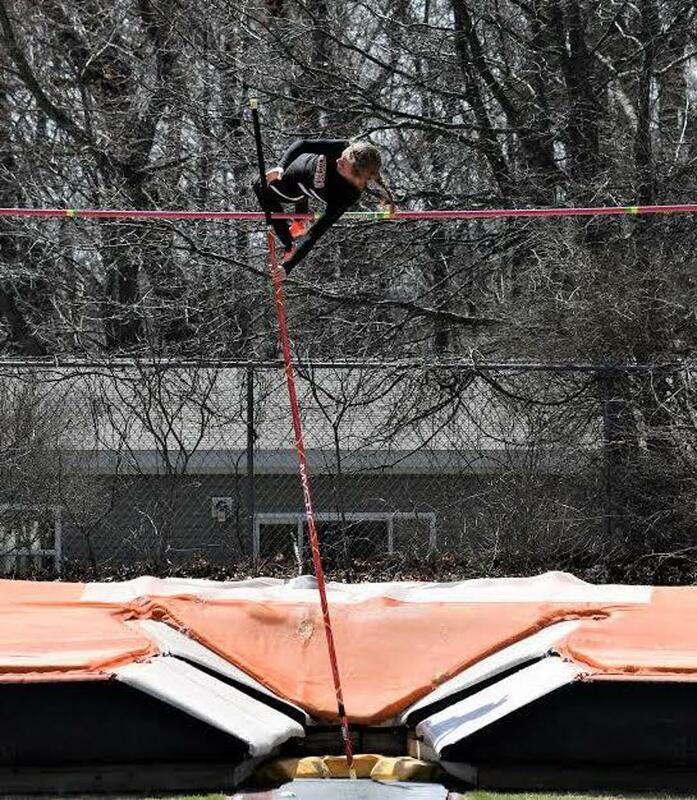 Earning PRs on the day were Grace Flanders in the 400m, Aimee Zang in the 300m hurdles, Breanna Haverkamp in the discus, Shelby Korytkowski in the pole vault, and Natalie Barr in the long jump. 100m – 2. Grace Gohl 13.60, 4. Abby Nash 13.81, 4. Jillian Roney, 6. Kate Zang 13.90; 200m – 2. Grace Gohl 27.68, 3. Abby Nash 27.71, 4. Kate Zang 28.15, 6. Shelby Korytkowski 28.48; 400m – 1. Taylor Korytkowski 59.69, 2. Grace Flanders 1:02.74 (PR); 800m – 2. Karlie Gardner 2:31.44, 3. Lexie Allshouse 2:35.25, 5. Elizabeth Bennett 2:38.24; 1600m – 1. 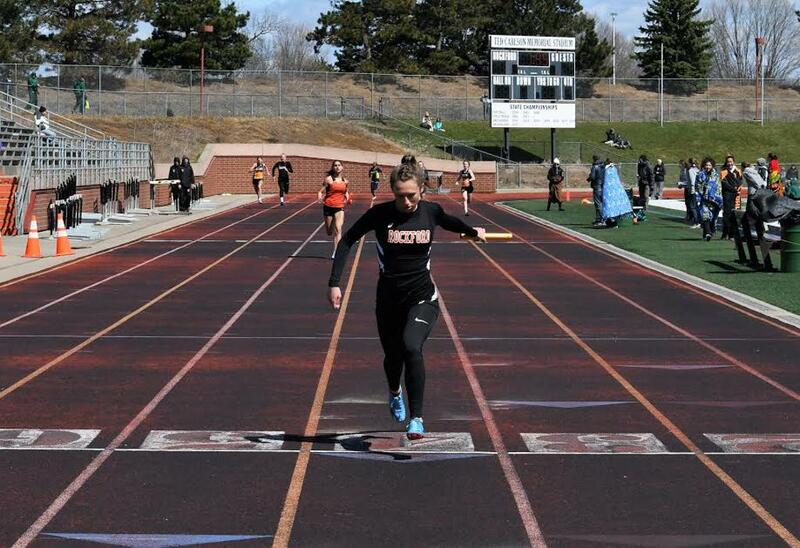 Ericka VanderLende 5:16.62, 8. 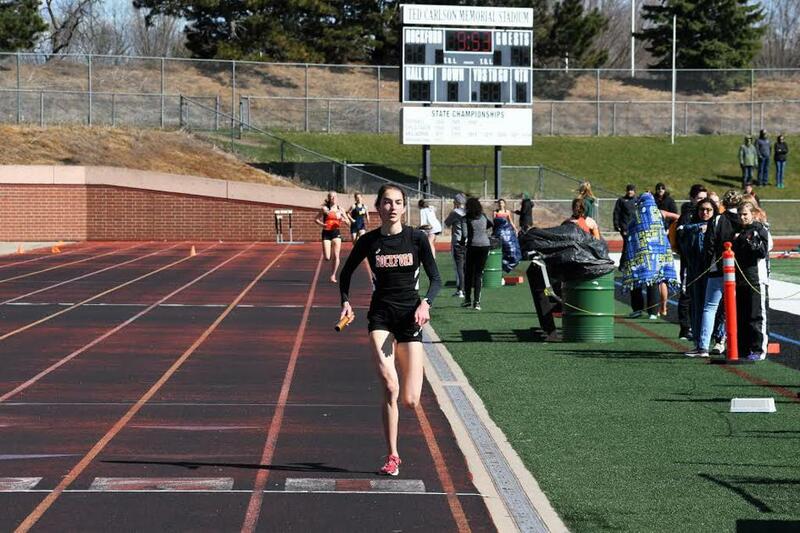 Emma Everhart-Deckard 5:35.42; 3200m – 1. Ericka VanderLende 10:49.45, 4. 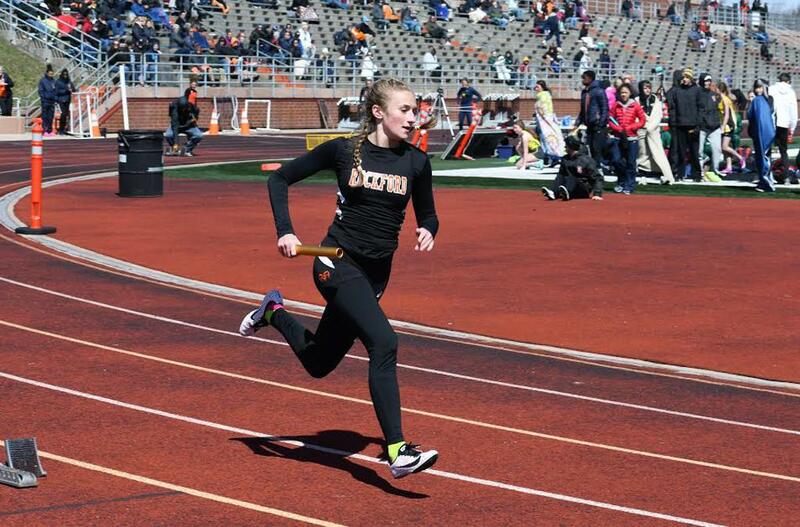 Emma Everhart-Deckard 12:27.78, 8. Diana Candela 13:09.84; 100m Hurdles – 1. Peyton Korytkowski 16.26, 2. Aimee Zang 16.94, 5. Natalie Huls 18.17, 7. 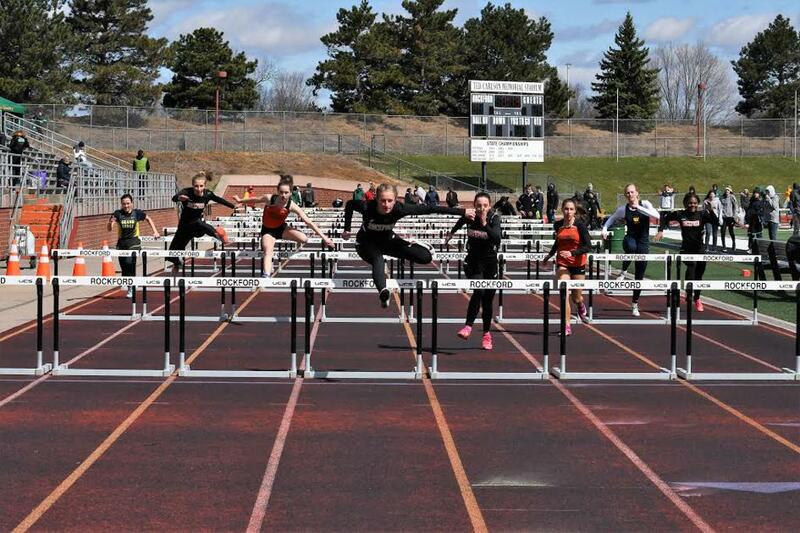 Vanlencia Goldsmith 19.07; 300m Hurdles – 1. Peyton Kortykowski 48.58, 3. Aimee Zang 49.25 (PR), 5. Natalie Huls 51.81. Shot Put – 5. Breanna Haverkamp 33-02.50; Discus – 6. 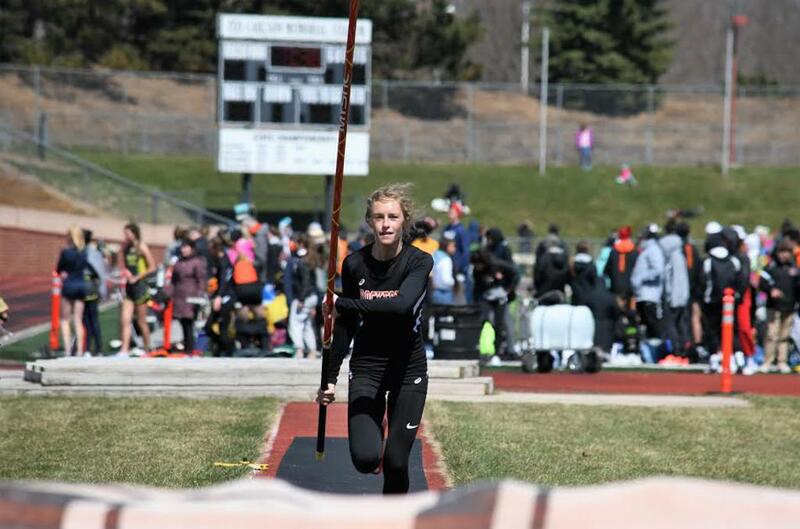 Breanna Haverkamp 98-08 (PR); High Jump – 4. Alexis Lamancusa 4-09, 8. Valencia Goldsmith 4-07; Pole Vault – 1. Morgan Vargo 10-00 (PR), 2. Shelby Korytkowski 10-00 (PR) 3. Breanna Haverkamp 9-06, 4. 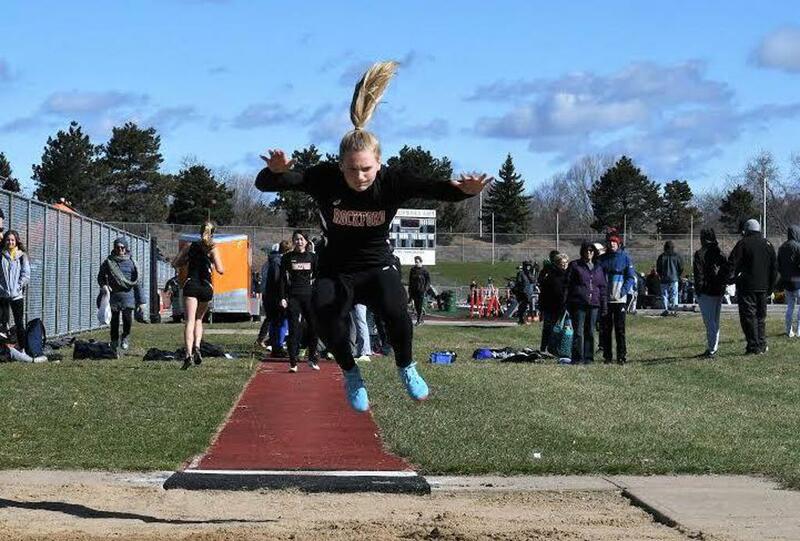 Reagan Ammon 9-00; Long Jump – 1. Morgan Vargo 16-09.50, 5. Natalie Barr 13-09.50 (PR). 4X100 – 2. Morgan Vargo, Abby Nash, Grace Gohl, Jillian Roney 51.33; 4X200 – 1. Peyton Korytkowski, Kate Zang, Abby Nash, Taylor Korytkowski 1:46.28; 4X400 – 1. Peyton Korytkowski, Karlie Gardner, Grace Flanders, Taylor Korytkowski 4:08.17; 4X800 – 1. Karlie Gardner, Elizabeth Bennett, Lexie Allshouse, Ericka VanderLende 9:54.66. The Rams will travel to Caledonia, Wednesday, April 17, to take on the Fighting Scots.